With a staggering amount of construction taking place across the region, and with fire safety a primary consideration in building design, the challenge for all parties involved is to effectively certify their fire safety strategy to align with the Hong Kong Buildings Department. This, says Reddiplex Asia, takes the involvement of expertise and local area knowledge. 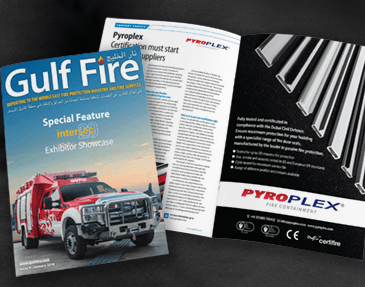 Reddiplex Asia is the distributor for Pyroplex, the leading UK manufacturer and supplier of certified passive fire products such as timber door seals, foams and pipe collars for use in both commercial and residential projects. Each component is fully tested and certified, able to form an integral part of the passive fire systems developed for a building, helping to seal and contain any fire breakout in a specific “compartment” within the structure, delaying the spread and providing more time for a safe evacuation of the building. Without paying full attention to correctly sealing wall, floor and door voids during construction, the risk of rapid fire spread is much greater. It is for this reason that the Hong Kong Buildings Department pays so much attention to this critical issue. Taking fire doors into consideration, Reddiplex Asia can provide door fabricators and other relevant businesses with an in depth understanding of the technical requirements expected by the Hong Kong Buildings Department, working closely with customers to initially advise on the technical specification of a product, ahead of being involved with the necessary testing of the assembled fire door. For example, focusing on a popular choice such as rigid box intumescent seals for fire doors, fully tested specifications ranging from FD30 to FD120 are available from Reddiplex Asia, dependent on the level of fire resistance required in a particular construction. Pyroplex Technical Manager, Andy Walsh often works closely with a project, starting with the review of and guidance for the components technical specification, ahead of the construction of the timber fire doors. 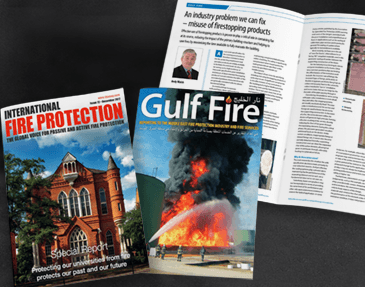 Comments Andy Walsh: “Different geographic regions are governed by different bodies and this can lead to a complex situation where testing and certification of fire safety products such as fire doors are concerned. As a specialist passive fire protection company with customers across the globe, we make it our business to help them with this technical complexity, so that they achieve optimum results more effectively, using and assembling appropriately certified products. So, where this region is concerned, we can help our customers meet the demands of the Hong Kong Buildings Department. Reddiplex Asia, has undertaken tests to demonstrate the effectivity smoke compliance for the range products for compliance of BS EN 1634-3: 2004 Medium Temperature (Sm) and Ambient Smoke (Sa) and all other requirements for European BS test standards, that are recognised in the Asia Pacific region.